MUMBAI: It’s family week in Bigg Boss 12, and things are about to get super emotional. Every season of Bigg Boss as a family week, and the episodes are filled with a lot of emotions. Yesterday, we saw that Sreesanth, Rohit, Deepak, and Karanvir’s families had come to meet them. 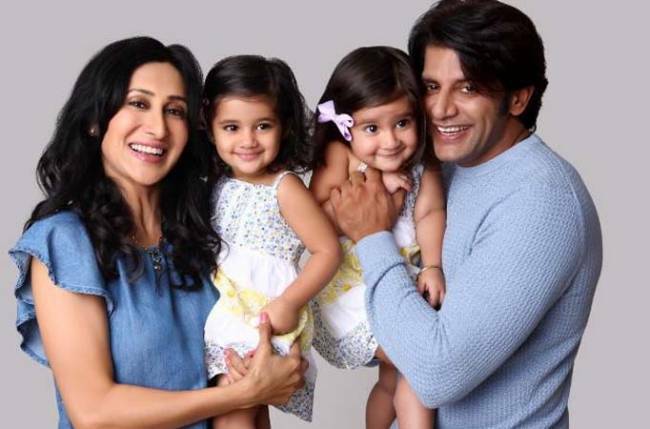 Karanvir reunited with his twin daughters, and the video will definitely make you cry. Bella and Vienna were happy to see their father after such a long time. Karanvir also broke down. The cutest part of the video is when the kids say ‘I love you’ to him. The kids also kissed the other contestants and knew their names too. When Teejay had to leave the house with them, the kids didn’t want to leave Karanvir, and his daughter Bella kept looking back at him.